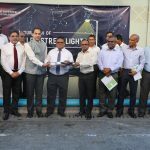 Inauguration ceremony of L.E.D street lights was held today. 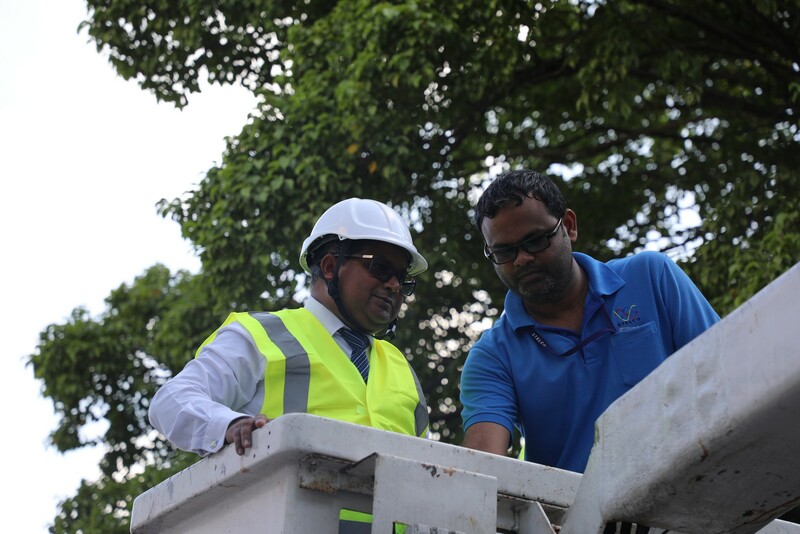 This ceremony was inaugurated by Minister of Environment Dr. Hussain Rasheed Hassan. 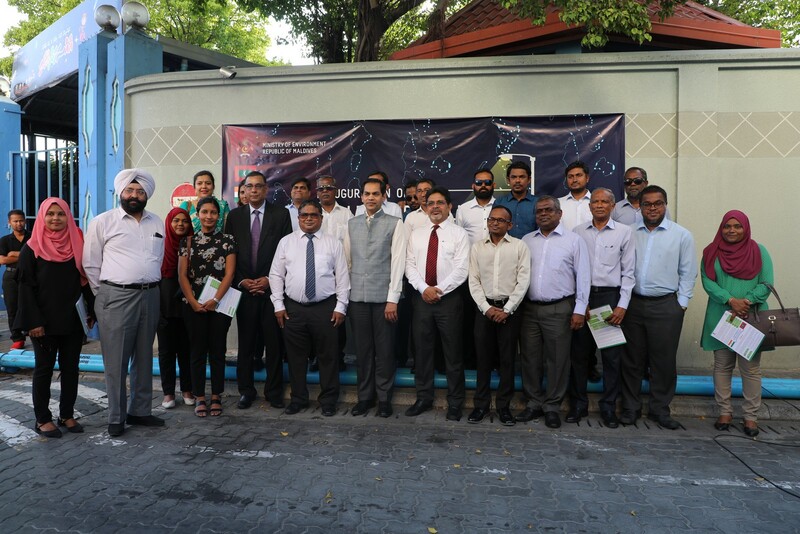 Ministry has signed A Memorandum of Understanding (MOU) a company of India, Energy Efficiency Services Limited on 17th March 2019. 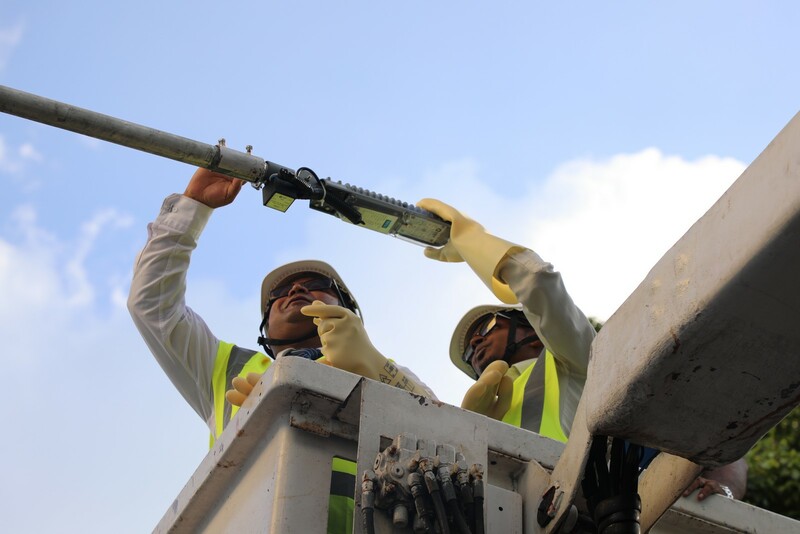 Under this MOU, the Government of India will be providing 2500 L.E.D street lights to the Ministry. 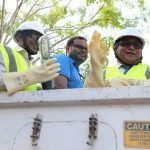 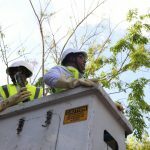 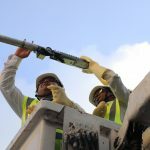 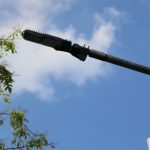 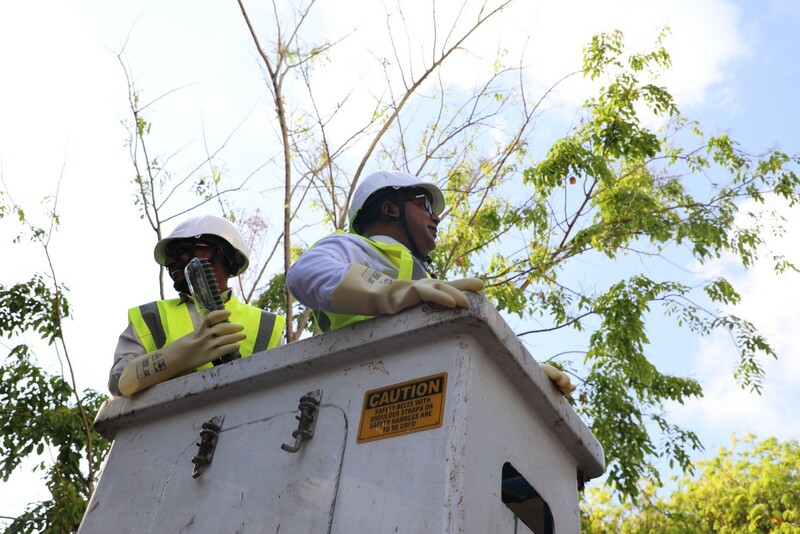 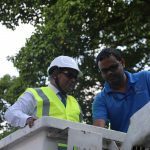 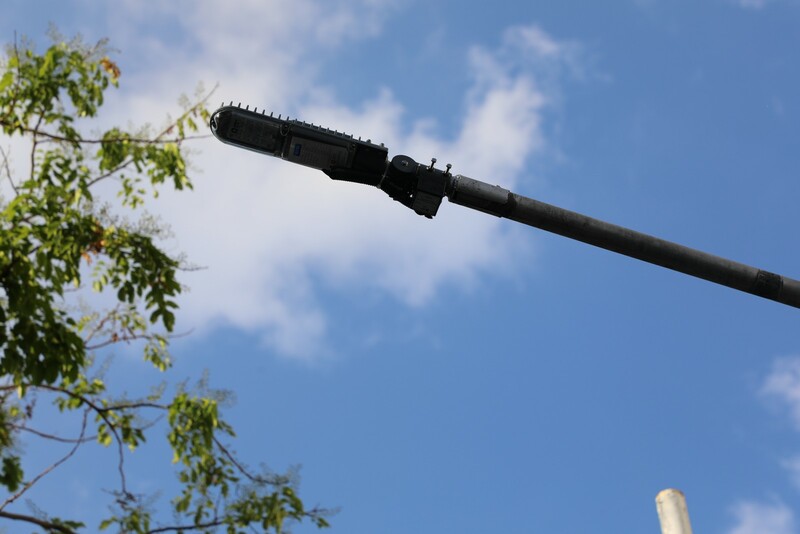 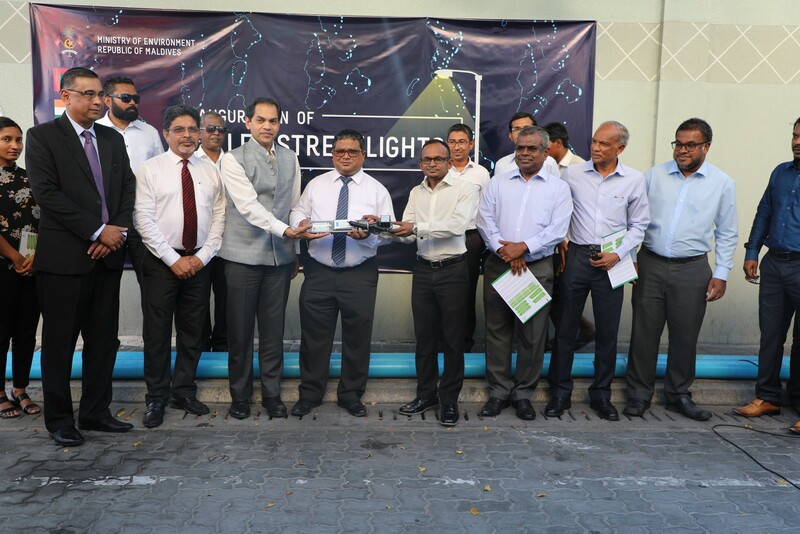 The Ministry has now received 500 street lights. 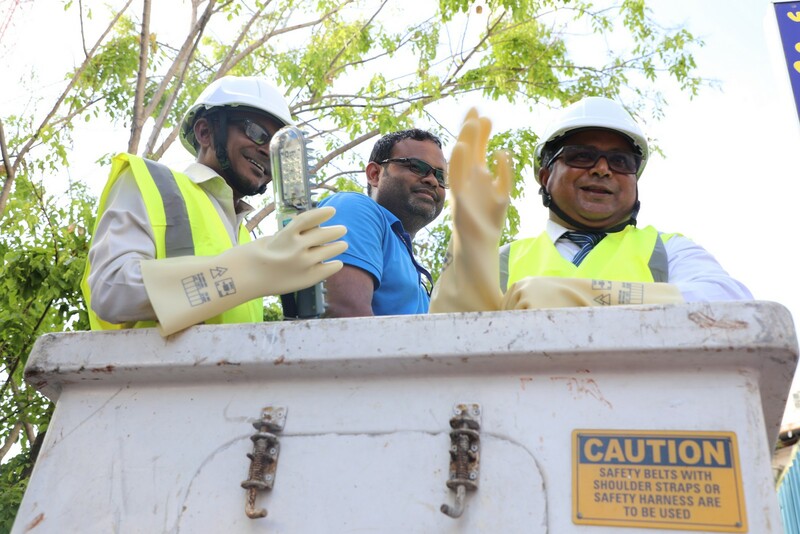 These 500 lights will be installed in Izzuddheen Magu, Male’. 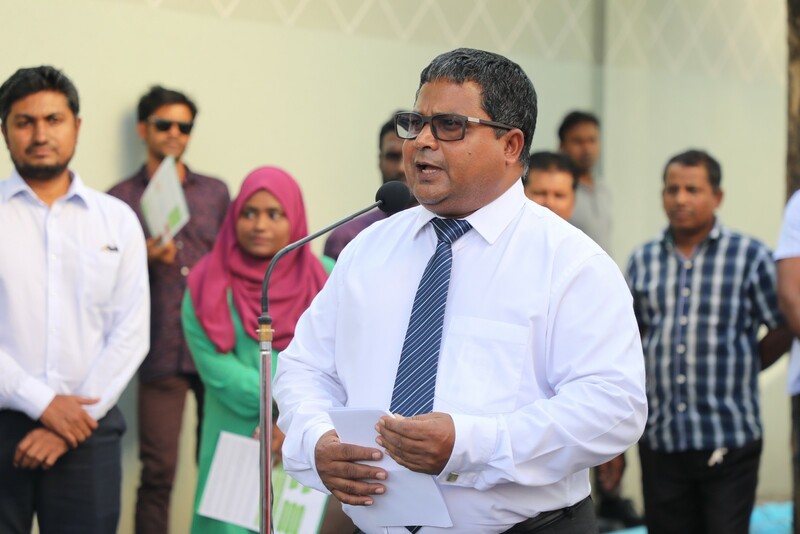 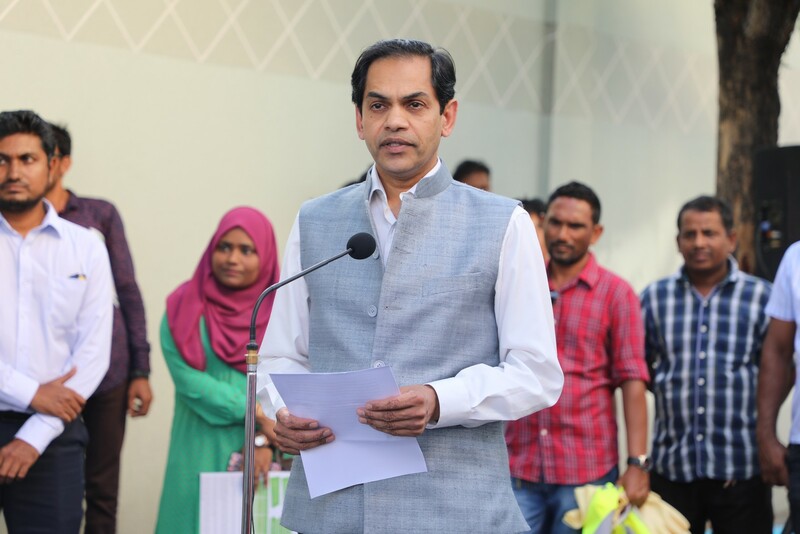 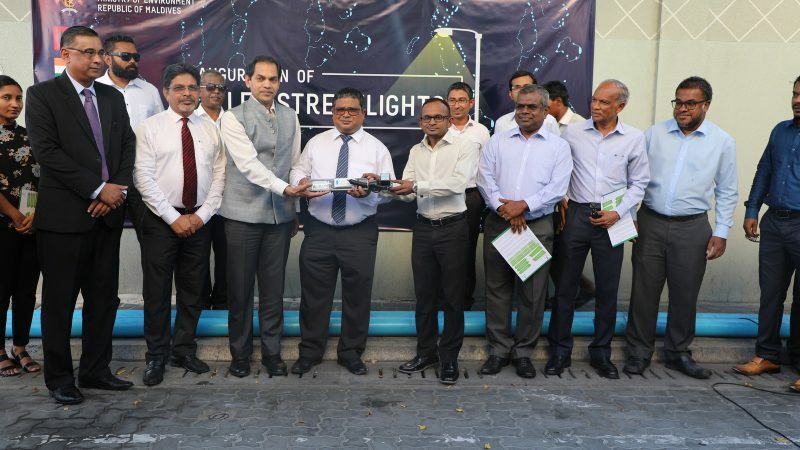 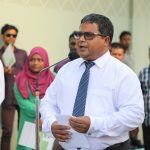 Speaking at the inauguration ceremony of L.E.D street lights, Minister Dr. Hussain Rasheed Hassan said that when 2500 lights are installed and used for 12 hours, 480 kilowatt hour (kWh) energy will be saved. 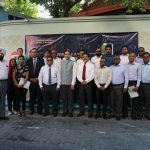 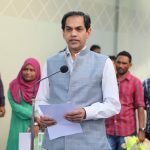 In this ceremony, Minister was accompanied by the Deputy Mayor of Male’ city council Mr. Shamau Shareef, Ambassador of India to the Maldives, Mr. Sunjay Sudhir and senior officials of the Ministry.